The label for Miller Brewing Co.’s Christmas Special Beer. Courtesy Don Russell. Anchor’s seasonal in 1975, the first seasonal from an American brewery since Prohibition, marked the advent of the modern Christmas beer in the United States, those thicker, richer, seemingly obligatory concoctions that flood retailer shelves ‘round about the week before Thanksgiving. Anchor originally based that first one on an earlier 1975 release called Liberty Ale, an immensely influential, hoppier beer that became a standalone brand for the second time in 1983. After 1975, Anchor would regularly tweak both its Christmas ale recipe and label. The 2014 release, the brewery’s 40th straight Christmas ale, features a Sequoiadendron giganteum tree (a.k.a. giant redwood) and tastes, as most Anchor Christmas Ales have since the late 1980s, of spices such as nutmeg and cloves. Though those are only guesses: the recipes remain closely guarded secrets. The earliest Anchor Christmas Ales were decidedly hoppier, and less malty. As important as it has been, Anchor’s Christmas beer was not the first American-made one. Which was? Hard to say. Others followed, especially after repeal of Prohibition in 1933. 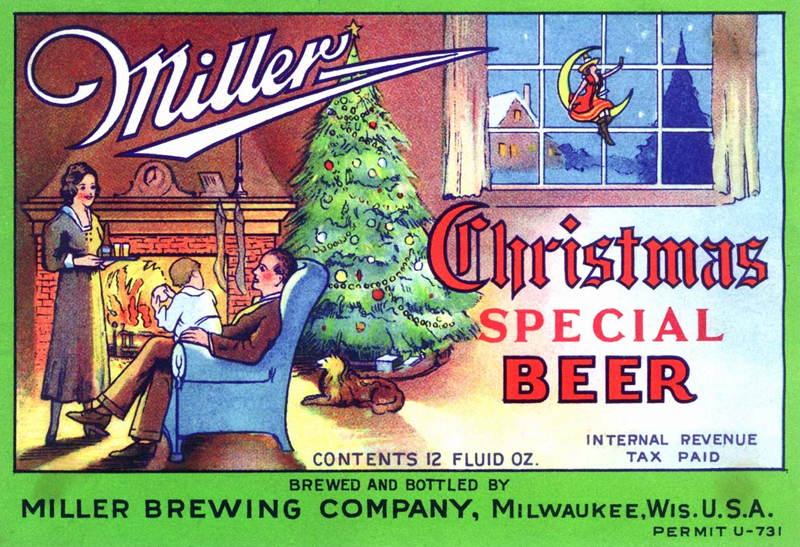 The Miller Brewing Co. out of Milwaukee had its “Christmas Special Beer” in the mid-1930s, complete with a Norman Rockwell-esque label of a family around a roaring fire, Christmas tree lighted and full pilsner glasses at the ready. The old Ballantine, too, had Christmas beer, beginning perhaps as early as the mid-1940s; according to the label, however, it was “not for sale,” but rather to provide “Christmas Greetings from” top executives to special supporters and associates of the brewery. Government grinches soon stole much of this Yuletide thunder. “A few years after Prohibition, most states banned references to Christmas or Santa Claus, so you saw a lot of ‘Holiday’ ales that I’d guess were called Christmas beer before Prohibition,” said Don Russell in an email. Russell is the author of Christmas Beer: The Cheeriest, Tastiest and Most Unusual Holiday Brews and a longtime beer critic under the nom de plume Joe Sixpack (hat tip as well to the critic Jay Brooks for information for this column). 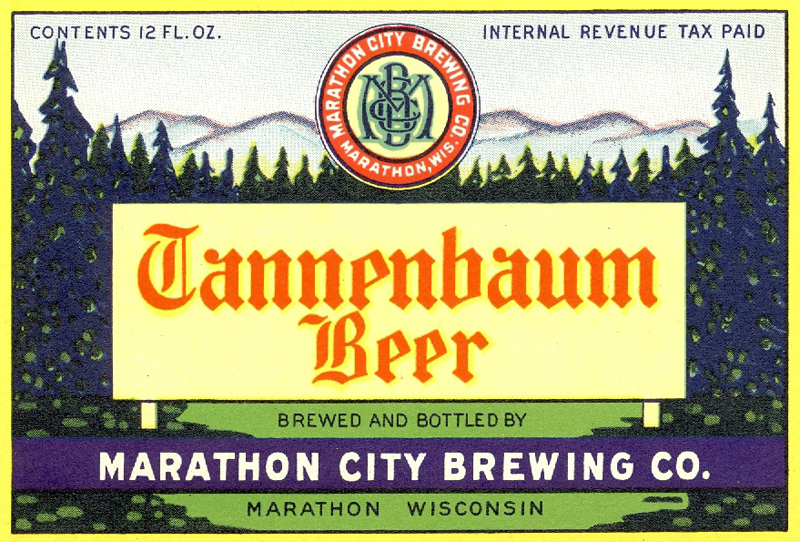 The label for Marathon City Brewing Co.’s Tannenbaum Beer. Courtesy Don Russell. The label for Lithia Christmas Beer. Courtesy Don Russell. Russell cited beers such as Tannenbaum Beer from Wisconsin’s Marathon City Brewing and Xmas Brew from Becker Brewing and Malting Co. out of Wyoming as examples of this end-around. Other breweries continued to be more direct. 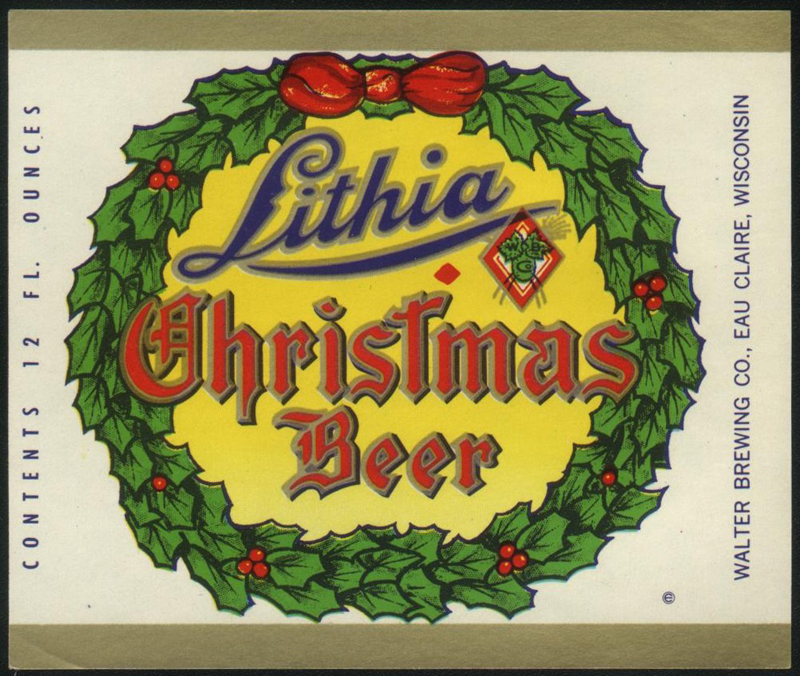 The West Bend Brewing Co., also out of Wisconsin, produced its Lithia Christmas Beer into the 1950s; the beer seems to have survived into the 1970s, in fact, after West Bend joined the Walter Brewing Co. in Eau Claire. None, though, would prove as definitely influential as that first Our Special Ale from Anchor 40 years ago this season. RELATED: What makes a holiday beer? Thank you for the info I always appreciate good information. P.S. Our C. B. is called “Christmas Girl which is a Belgium Blond. Great info and history lession. Thanks. I just came across this article, which raises some interesting questions. There were a number of special Christmas beers prior to 1915 in Wisconsin alone, including from Walter of Eau Claire, Rahr of Manitowoc, and the Neillsville brewery, all of which were bottled. It was rare for the large Milwaukee breweries to offer a special bottled product at Christmas, though several appear to have had a draught Christmas beer. After Prohibition, a majority of Wisconsin’s smaller breweries offered a Christmas or Holiday beer, a few under the name of Christmas Beer. While some states may have outlawed the use of the term Christmas on beer labels, it was not the case in Wisconsin. The use of the alternate term Holiday was more likely adopted to expand the marketing season for the beer, rather than limiting it to the period immediately around Christmas. Label printers made a variety of stock holiday beer labels which could be overprinted with the brewer’s name, and they may have chosen this name to accommodate breweries in all states. 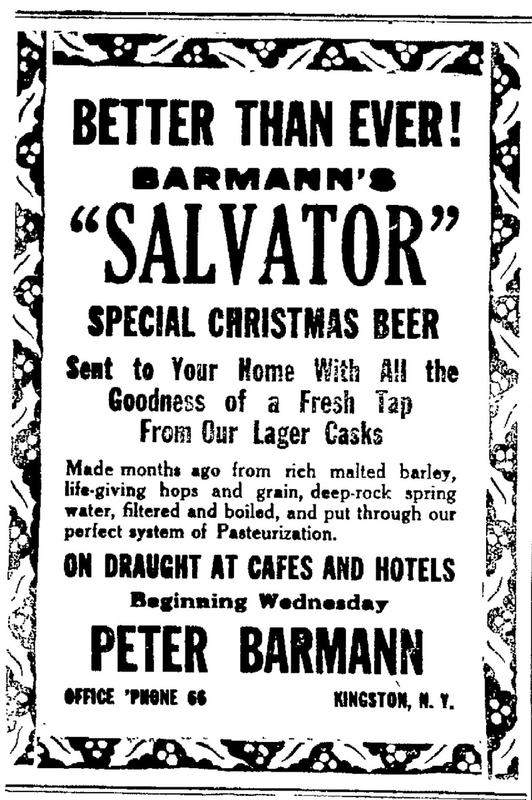 Salvator was quite common as a style in Upper Midwest breweries in the period prior to 1920, and while often a winter offering, was not specifically a Christmas beer for many brewers. Potosi’s Holiday beer and Marathon’s Tannenbaum were not winter seasonals, they were the year-round flagships of those breweries.